Some of us invest with certain hard and fast expectations of financial growth. But some choose to lead with their hearts. Socially responsible investing allows investors the prerogative of investing in companies that demonstrate preferred social values. Known as ESG (Environmental, Social and Governance) criteria, positive environmental impact and responsible community involvement are the benchmarks used to guide investment selections, as opposed to strict return-on-investment standards. 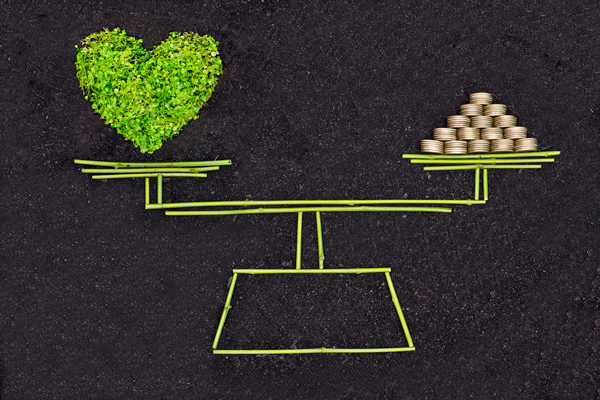 The history of socially responsible investing stretches at least as far back as the mid-18th century, but its more modern form began taking shape in the 1960’s, amidst the fight for civil rights and the emerging anti-Vietnam protests. The underlying belief is that good corporate practices may lead to better long-term corporate performance. Investor experience with socially responsible investing will vary. As with any mutual fund or exchange-traded fund, socially responsible investments are subject to fluctuation in value and market risk. Shares, when redeemed, may be worth more or less than their original cost. You should also recognize that each investment approach may operate under a different set of principles, so you should be careful that your selection mirrors your personal values and beliefs. Get a plan. Prepare today. To learn more, contact LMIS by going online to LMCU.org/Investments, or call (616) 234-6358 for a free, no obligation financial review of your unique situation.